You are going to love this private home. Wooded lot, extensive decking and landscaping are the back drop of this very well maintained home. Converted into a two bedroom (from 3), the master is on the upper floor, separate from the additional bedroom. 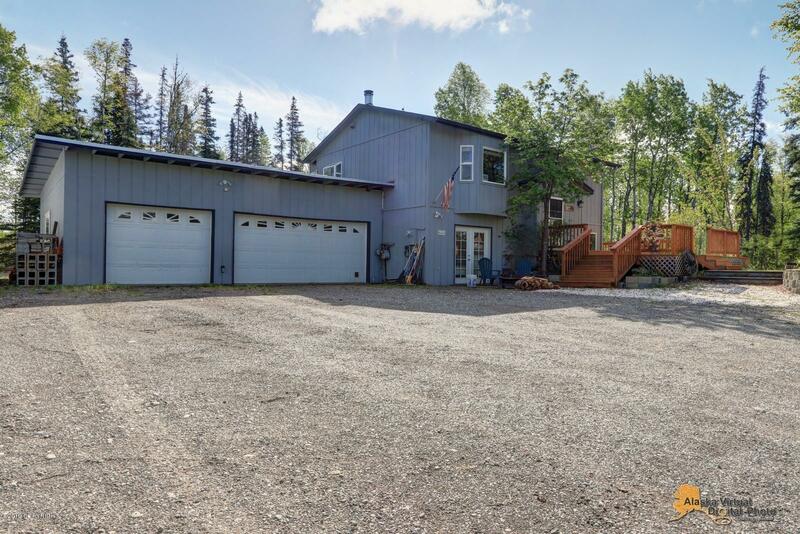 Vaulted ceilings, big windows, new leach field, and close to Wasilla, this is a perfect spot to call home!! !